Our products are received, processed and shipped from our centrally located Distribution Centers in Cleveland, Ohio in the suburbs of Middleburg Heights and Berea. 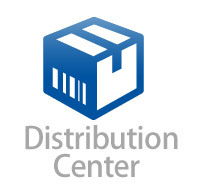 AmeriMark Direct's Distribution Center is unlike any other. Our unique culture is the difference. The key to our amazing culture is our team of great people. We are fun-loving, highly motivated and goal-oriented. Our work environment is based on mutual respect where we celebrate our individual life experiences and our collective contributions to the team. The majority of our Distribution Center employees have enjoyed a long tenure with AmeriMark Direct. In fact, many have celebrated 10, 15, 20 and 25 years with the company! We moved into our 300,000 square foot facility in 2004 in Berea, Ohio to better meet the needs of our customers. Safety is a top priority, and we've implemented many tools in our Distribution Center to help ensure a safe work environment. Training is also a big part of our employees' work experience. Through active cross training, the team can flex to meet the workload needs of other departments within the facility. Ours truly is a place where employees can have fun and work alongside other dedicated, hardworking people in a comfortable, safe, and clean work environment.  Our Receiving department is responsible for unloading, palletizing and receiving merchandise from all over the world.  The Returns Processing department is responsible for giving products 'special attention' such as light assembly, price changes and quality checks.  In Retail Fulfillment, we pick and pack orders for our growing number of online and phone customers.  Our highly trained fork-lift operators in the Stock department handle more than 2500 pallets per day. AmeriMark Direct's Distribution Center is a place where you can develop a successful career path. It's a place that always recognizes that it's the people behind the lift trucks, sorting machines and picking and packing order lines that keep us at the forefront of the direct marketing industry. AmeriMark Direct's Customer Services Department is located within our main headquarters in the Cleveland suburbs of Middleburg Heights and Berea. 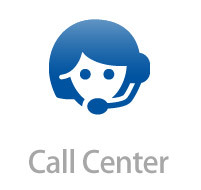 The experts in our Customer Services Department assist customers on the phone and through email. These employees place orders, up sell our membership programs, answer questions, and handle all shipping and product questions our customers may have. This department operates by incorporating our unique culture and values in the day-to-day business to help serve our customers. Employees receive extensive training related to our products, systems and service. We offer full-time opportunities with an excellent pay and benefits package. A position in this department requires excellent communication skills, active listening skills, attention to detail, professionalism, a passion for helping others solve their storage challenges and a strong sense of urgency. AmeriMark Direct is consistently seeking exceptionally qualified applicants. We encourage you to apply even if you are not responding to a job announcement as we continually review applications for both current and future needs. We are seeking people who are comfortable with sales and responding to customer's questions. Candidates should also have experience in some of the following areas: sales, customer service, email and call center interaction. AmeriMark Direct's headquarters are located in Cleveland, Ohio. Our main headquarters is connected to one of our Call Centers and Distribution Centers. This allows us to work efficiently to take customer orders and ship out merchandise effectively. Our mission is to offer value based items to our customer base. We have a variety of departments in our home office that allow us to meet and exceed our customer demands. All positions require constant physical activity, including standing, walking, reaching and grasping. Employees must be able to lift 50 lbs., be able to work in a non climate-controlled environment, be able to stand for an 8-hour shift. In order to best perform these responsibilities, employees must be able to communicate face-to-face with or without reasonable accommodation. AmeriMark Direct is an equal opportunity employer and is committed to compliance with its obligations under all applicable state and federal laws prohibiting employment discrimination. In keeping with this commitment, it attempts to reasonably accommodate applicants and employees in accordance with the requirements of the disability discrimination laws. It also invites individuals with disabilities to participate in a good faith, interactive process to identify reasonable accommodations that can be made without imposing an undue hardship. All positions in the Call Center require an individual to be on the phone for 8 hours per day. Employees must be able to sit for an 8-hour shift. In order to best perform these responsibilities, employees must be able to communicate over the phone with a headset on, while navigating a computer screen. AmeriMark Direct is an equal opportunity employer and is committed to compliance with its obligations under all applicable state and federal laws prohibiting employment discrimination. In keeping with this commitment, it attempts to reasonably accommodate applicants and employees in accordance with the requirements of the disability discrimination laws. It also invites individuals with disabilities to participate in a good faith, interactive process to identify reasonable accommodations that can be made without imposing an undue hardship.